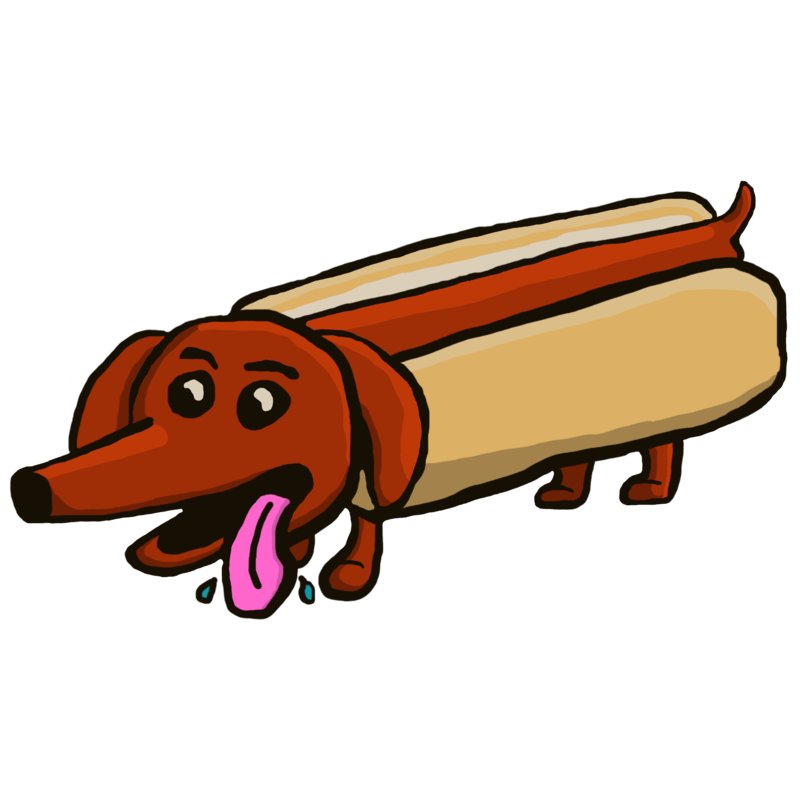 While I was growing up, I loved reading Dav Pilkey’s book “The Hallo-Wiener”. 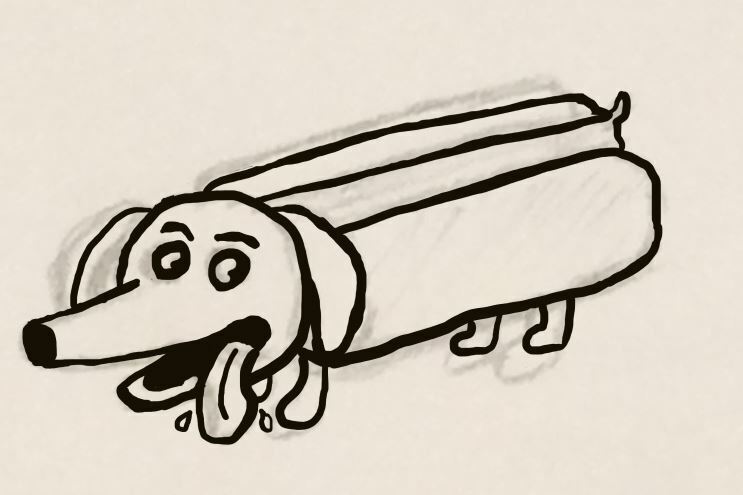 Though I don’t remember much about the story itself, I have vivid memories of a dog in a hot dog costume on Halloween night. That inspired me to create this design. The idea itself was basic, but the execution took a lot of detail to look good. 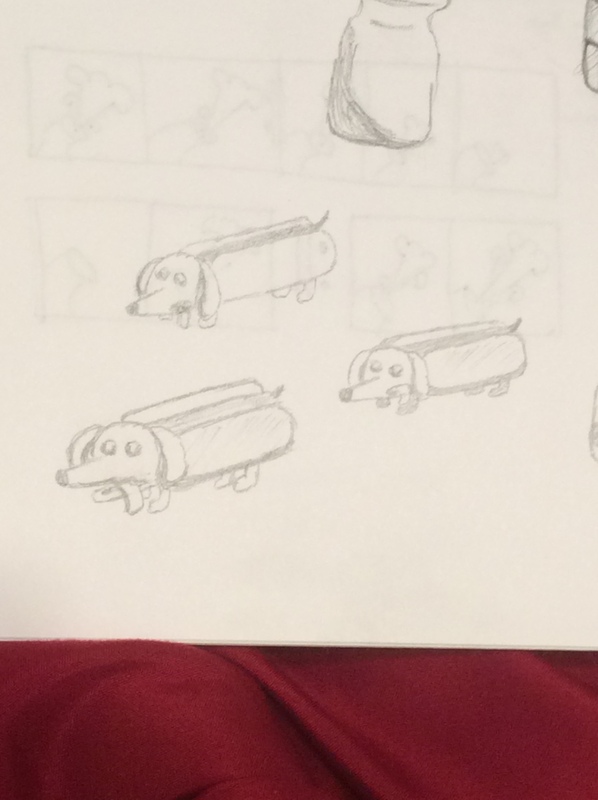 Even while making my sketches, I knew that I didn’t want him to just be vertical or horizontal. I wanted him to be on a slant as if he could walk right to you. I toyed with whether to make him happy or sad. 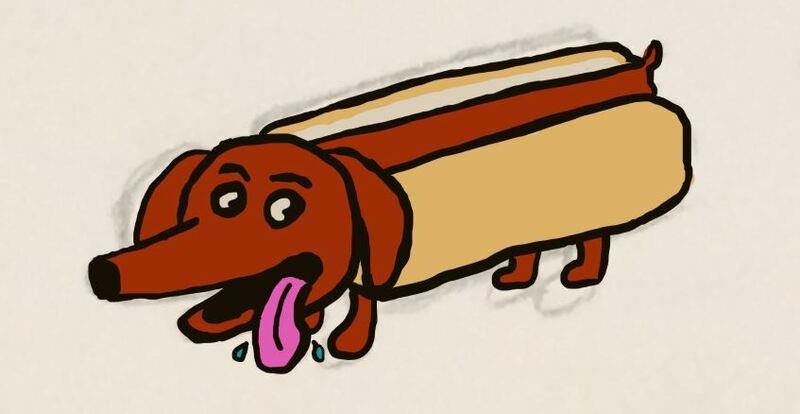 He was a hot dog after all, but I settled for a cuter and happier design in the end. This was my first time using a digital drawing pad to create a design in Adobe Photoshop. It took me a little bit to get used to the pad, but I found that I like it a lot for creating hand-drawn designs. I created the outlines for the whole design and colored it separately. After coloring it, I like it, but it didn’t have the sense of realism that I wanted. I also had to clean up the edges. After cleaning up the lines, adding highlights and shadows, and adjusting his eyes to match the light source, he was done. I enjoyed creating this design and it helped me learn how to start drawing digitally, which I’m hoping to utilize more in the future. This manifestation of my childhood is available for purchase on my online storefronts.